This Adult Choir meets on Wednesday evenings at 6:00 for lively and laughter-filled rehearsals. New members are always welcome; no audition is required, just a love of singing and Praising God! The Praise Team serves every Sunday at 9:30am complimenting the service with more contemporary praise music. to partner with them. We rehearse every Wednesday at 5:15 pm. 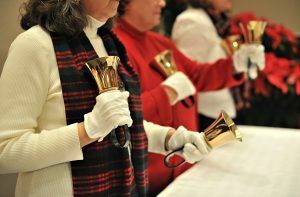 Our Bell Choir provides beautiful music during the Christmas and Easter Seasons, as well as a few other special times during the church year. We rehearse every Monday at 5:30pm. 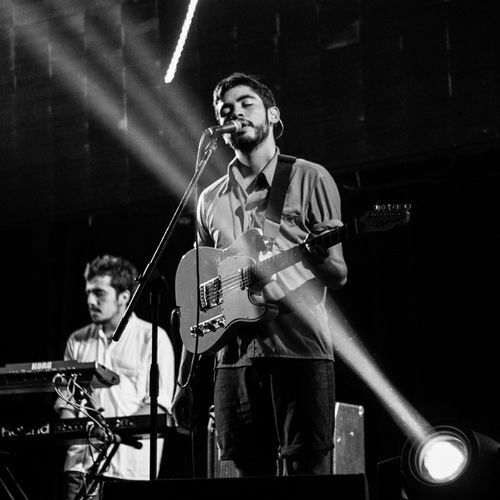 Vocalist & multi-instrumentalist Matt Lewis has led a life driven by his passion for sharing music with others. A three time Jazz Ambassador for the Kennedy Center for the Performing Arts, Matt has toured extensively throughout Africa and South East Asia and througout the U.S as a lead vocliast with the Lt. Dan Band, led by actor/bassist Gary Sinise. For 20 years he appeared every Thursday night at the world famous Green Mill Jazz Club with Swing Shift Orchestra as well as countless appearances at clubs and events throughout the Midwest. 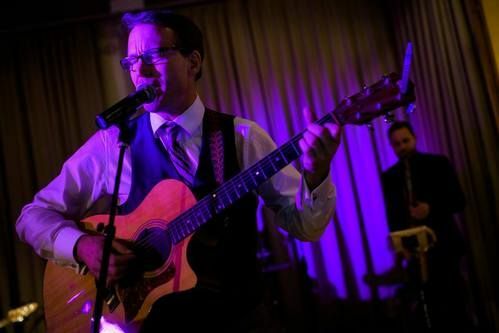 For his entire music career, Matt has been a frequent guest artist at worship services throughout Chicago and Winnetka Presbyterian Church, which was his home church for the last 40 years. Although he still travels frequently to Chicago for work with his special events company, Matt is thrilled to now call the Vail Valley home and is honored to lead music worship on Sunday evenings at The Journey service. You’re also likely to see him perform locally at venues throughout the valley as he is quickly getting connected with the vibrant local music scene. is to glorify god - through music.
. If you enjoy singing; or ringing bells, there is a place for you in our music ministry! We have many talented people who enjoy working together to provide a wide variety of musical styles, groups and songs to enhance our church services. Music is how we express ourselves when words alone are not enough. ERPC’s music encompasses traditional hymns, anthems, and contemporary songs; always engaging our congregation. We cherish the gift of music as we prepare to praise God in worship each week. 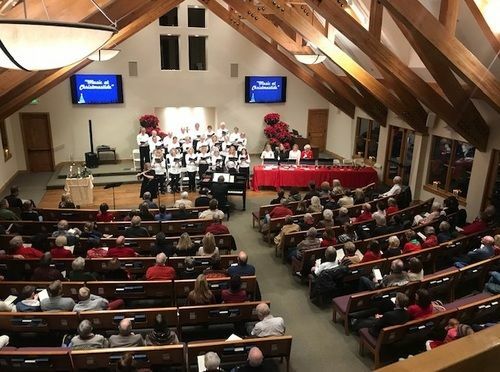 Whether we are singing together as a congregation or sharing in a worshipful moment of reflection during a solo or ensemble piece, we cherish the gift of music as we prepare to praise God in worship each week. ERPC is blessed with a very talented and active music department. Our primary performance groups are our Sanctuary Choir, Praise Team, and Bell Choir. We love musicians & Singers!